There are typically 7 phases in the DUI process. Upon your arrest for DUI in Washington, two actions are brought against you: an administrative action brought by the Department of Licensing (DOL) seeking to take away your driving privilege, and a criminal action brought by the state, city, or federal government. 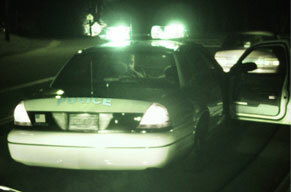 The following process is typical in a DUI/DWI drunk driving case in Washington. You must request a hearing with the DOL within 20 days of your arrest. You must also submit $375 with your request. If you fail to timely/properly request a hearing, the DOL will automatically suspend your license for 90 days if your BAC is .08 or greater, for one year if you refused to take a breath or blood test or for two years if this is your second or subsequent DUI or refusal. More about your Washington DOL hearing. This is your first appearance in court for your criminal charge. At arraignment, you will be advised of your rights, you will enter your formal plea of “not guilty” and you will request to be tried by a jury. This is also an opportunity to enter an objection to a particular judge sitting on your case. You likely will not know whether this is appropriate. A skilled attorney familiar with the local judges will know and will be able to file the proper affidavit of prejudice. Your right to a speedy trial begins running as of this date. If brought to trial, your trial must be held within three months of the arraignment (if you are not in jail) unless you waive your right to a speedy trial or a judge finds good cause for extending this time limit. The Arraignment is typically when I will file my Notice of Appearance as your attorney with the Court and my Demand for Discovery upon the prosecutor. This sets in motion the discovery process under which I receive the police reports and any evidence the prosecutor will use against you. Upon receipt and review of these documents and evidence, I will then decide what motions to bring. These may include motions to suppress evidence (e.g., breath test results, field sobriety tests) and statements you made, as well as motions to challenge the validity of the stop or the reasons for the arrest. If the prosecutor has not given me everything I have asked for in my Demand for Discovery, I may ask the judge to order the prosecutor to give it to me or to suppress it from trial. This is typically a court appearance at which we set another court date. As your attorney at the pretrial conference, I will give the Court and prosecutor notice as to what motions I wish to bring, and then the Court will set a date to hear motions and argument. After the pretrial conference, I will continue to research the issues, write my legal arguments (briefs) and file them with the Court and prosecutor. Once the prosecutor receives this, I will talk with him or her about your case and discuss a possible non-trial resolution (a plea bargain) if appropriate. If a reasonable offer is not forthcoming, we proceed to the next step. This is a formal hearing, like a mini trial, where I may cross-examine their officers and gather crucial information about your case. As a result of my motions, the Court may suppress some or all of the evidence against you if your constitutional rights have been violated. The suppression hearing is yet another opportunity for me to weaken the prosecutor’s case against you and negotiate reducing the charge against you. If the prosecutor has not made you a reasonable offer to dismiss or reduce a charge, I will defend you before a jury of your peers. This is where many attorneys flinch and encourage their clients to change their plea to guilty because they believe the prosecutor has a strong case. When you interview attorneys, ask them how many jury trials they personally conducted last year. Ask whether that attorney will in fact represent you in trial as well as at the suppression hearing, or will it be one of his or her “associates” handling your hearings and/or trial. The Court imposes a sentence after a conviction at trial or after any kind of guilty plea. A sentence may include jail time, electronic home detention, public service, alcohol classes and fines. Sentences are based on your history, the BAC information or your refusal to take a breath test. A DUI conviction carries mandatory minimum jail time.